Free addressing is also included! Show now. It's that time again! The Minted spring sale is here, and the entire site is 15% off! 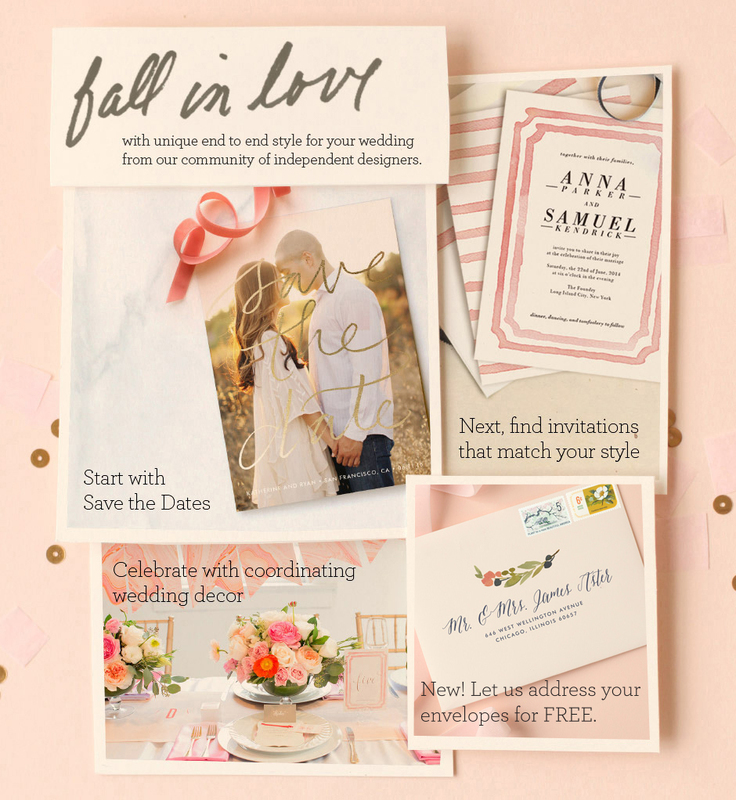 There are some really cute pieces in the new collection, and the address printing is the perfect choice for a cohesive wedding suite without breaking the bank. Use the promo code "HAPPYSPRING" to save 15% off the entire site, expired March 16, 2015. 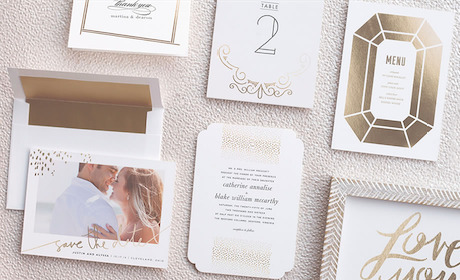 Save 15% off Minted wedding orders. Use the code "BELLS2015". The sale is now over, but stay tuned to the KJ and Co. blog for other promo codes in the future.